If I could only have one thing for the upcoming AW season then it would hands down have to be the Christian Louboutin So Kate ankle boots. In my eyes, they are the epitome of edginess combined with class and one that I must have. 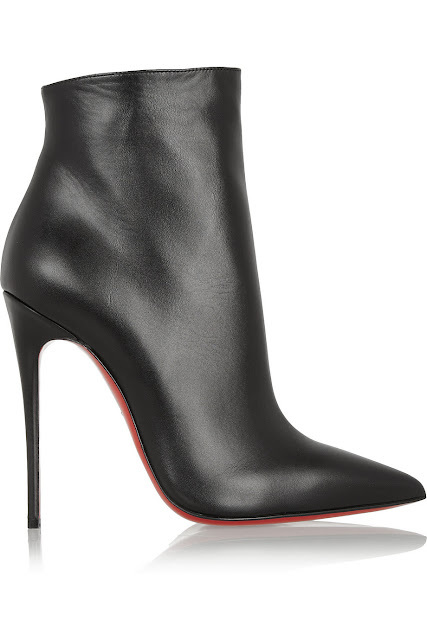 Lets forget about the fact that I already struggle to move about in my So Kate heels; I seriously think these boots would make a great addition to my wardrobe especially my winter wardrobe. However with a hefty price tag of £745 I will be wishing and hoping that my secret santa will have these wrapped up for me under the christmas tree this year. A few of the retailers and online stores including Net-A-Porter stock if you are interested in grabbing a pair.